This pattern is also available as part of a Magical Knits kit through their website (link above). The pattern was designed to work with the stripes and make them create beautiful soft ripples. 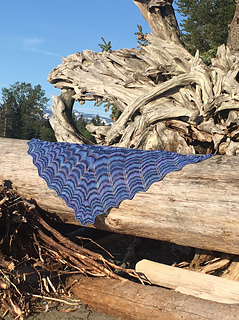 There are also contrasting textures - the shawl is reversible: one side has more purl stitches and the other more knit stitches. relaxing to knit and stunning results. 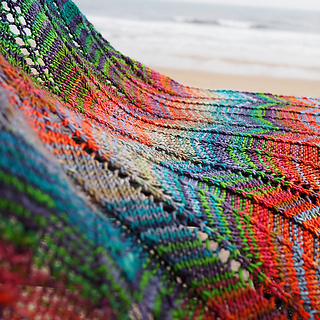 You can change the tone of your shawl by deciding which colour segment you want to start with.